Possible Faces plays Saturday, January 19 as part of Museum of the Moving Image’s First Look 2019. “If I stay working here, don't you think it will be the same ten or twenty years later? Only kids’ faces changing every year, in this big building,” laments the downcast school administrator Kisun (Park Jonghwan). This statement is the melancholic heart of writer and director Kanghyun Lee’s fiction debut Possible Faces, which astutely captures twenty-something malaise. In Kisun's monotonous profession, he is just another inconsequential, cursory figure in the lives of his revolving-door students. He has recently been banished from the home of his ex-girlfriend Hyejin (Kim Saebyeok) after living with her for three years; to distract himself from his heartbreak, he concentrates on helping Jinsoo (Yun Jongseok), a wayward student who plays on the soccer team and delays completing a scholarship application. Kisun soon finds creative work at a magazine, but he never achieves the personal satisfaction he needs because he is forced to embark on a hopeless quest for one of the executives to read his writing. 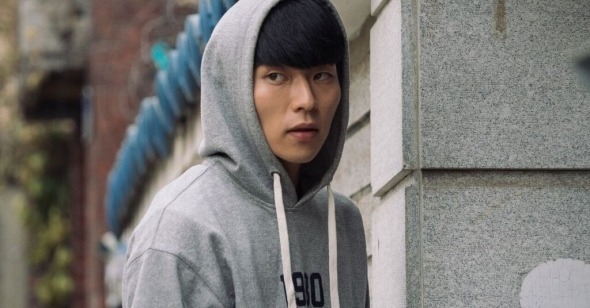 Eventually, Kisun is assigned to write a story on Hyunsoo (Paik Soojang), a deliveryman with a romantic heart in pursuit of companionship who shares a connection to Hyejin. While Kisun remains stagnant and unfulfilled, Hyejin attempts to propel her life forward by resigning from her corporate office job and pouring her entire life’s savings into meticulously renovating her mother’s cheap eatery into a quaint, boutique restaurant. In the midst of this massive project, she struggles to curb her seclusion and maintain a social relationship with her friend Juyeong. Possible Faces has a jumbled logic devoid of any concrete temporal sense. Kanghyun meanders in and out of his vignettes with little to no indication of when they take place. Days, weeks, and what seems to be months pass by in the blink of an eye without warning. This disordered structure evokes the slippery perception of time as experienced by his depressed leads. Possible Faces animates a generation’s spiritual void and gnawing search for emotional fulfillment within contemporary urban life. In fragmented short scenes intertwined by the turn of chance, Possible Faces keenly studies aimless characters whose lives pinball between despair and grasping the last vestiges of hope. Kisun and Hyejin’s vacuous interactions with others are last-ditch efforts to curb their post-break up unhappiness through some semblance of human contact. The filmmaker hones in on our youthful sense of disconnection from the world around us, the lasting metaphysical connections we have with one another and what happens when they wither away. The characters’ haunted memories of what they once shared hover over the mundanity of their daily lives within the film’s staid flow. Kanghyun observes his lonesome, disconsolate figures from an empirical distance as if peering through a snow globe. The foursome are rarely seen in close-up, which occasionally displaces the audience from their internal strife and engenders a lack of empathy, but the cast’s fragile performances exude the unhappiness that anchors their characters as well as their longing for something more. Featuring muted colors, Kanghyun's plain, reserved shots are as tepid and blue as the protagonists’ internal states of being. There is a palpable loneliness and dismay that hovers over the entire film like a thick morning fog. Most of the sequences are of the characters in solitary situations, particularly Hyejin; Kanghyun quietly observes her dallying in her room, listening to her iPod while eating at a restaurant, or wandering the winding, narrow streets of the city like a tourist. The film's visual approach reflects the characters’ unsettled existence in an increasingly hectic world that consistently reminds them of their own detachment. Kanghyun’s young men and women aimlessly drift through the hushed Seoul cityscape in search of that infinitesimal moment "when the ordinary everyday turns special,” one of the magazine photographers states while trying to craft the perfect image. The lofty shots of their surroundings engulf and transform each of them into just another lonely, insignificant face in the crowd. At one point, Hyejin steps in front of a Google Maps van and has her picture taken. She immediately calls her friend to express her excitement that her face will be frozen in time for all eternity, allowing her to leave her mark on the world and preventing her from being forgotten. But then she realizes that her face in the online photograph will likely be blurred, reflective of her struggle to find an identity and purpose in the wake of her failed relationship. The only profoundly pleasant moment in the film for any of the characters is when Hyunsoo stumbles upon a mysterious journal during one of his deliveries. He silently reads the sweet tale of a woman, her husband, and friend spending a lovely day at Youngsan Park. The crisp leaves of autumn—with their vibrant reds and deep golden yellows—combined with the score’s soft chimes lends a pleasant tranquility to the mise-en-scène. The sequence moves with a languid contentment as the trio shares a picnic and takes a cat nap beneath the warm, radiating sun and the gentle rustling of wind. Hysunsoo can only imagine having a day like this unknown woman describes.